It seems you can't watch the evening news or pass by a strip mall without someone trying to sell you a mattress. The seemingly limitless options for choosing a mattress can be overwhelming. This is even more true if you experience back or neck pain—choosing the right or wrong mattress can make the difference between spending the day feeling good or in pain. Talk to your doctor. If you have a health condition, talk to your doctor or physical therapist about what he or she recommends. Keep in mind that doctors are not mattress experts, but they know your medical condition and symptoms and will probably have some good advice from that point of view. Take the mattress for a test drive. When shopping for a mattress, try to lie on the mattress in the store for at least 10 to 15 minutes. Don't feel self-conscious or let the salesperson hurry you along. It's a big purchase, and if you don't try it for at least 10 minutes you're not going to get a real feel for it. Couples should test out the mattress together. Be aware that firm mattresses aren't always better for your back. Think twice before buying a hard or firm mattress, as some research has shown that the best mattress for low back pain is a medium firm mattress rather than a firm mattress. There is a difference between firm support and firm feel. You want firm support with a comfortable feel. Comfort will be determined by your personal preference. Pillow tops aren't for everyone. Very light-weight people don't need big thick pillow top mattresses because they don't weigh enough to compress the foam to even touch the underlying coils/support system. On the flip side, larger/heavier people tend to feel more comfortable with a little extra cushion between them and the coils. Adjustable beds are a great option. If you find you are more comfortable sitting in a recliner than lying down, try an adjustable bed. They allow you to elevate your head and knees slightly to relieve pressure on the lower back. You can also create the same effect using pillows. Protect your investment. Don't forget some kind of waterproof mattress protector. Stains will void your warranty. Check out all the options and variations. Give yourself a comfort test if the salesperson doesn't offer you one. Ask to try a firm, a plush, and a pillow top in the same brand quality and price point. Lie on each one for 10 to 15 minutes. When you find the most comfortable type of mattress, ask to see more of that kind. Remember, it's your mattress, your back, and your money, so it's worth the time to research it and get the best mattress possible. Keep an eye out for specials and sales, and always try to negotiate delivery charges. Getting a good night’s sleep is essential to staying happy and healthy. But buying a mattress without doing your research first can lead to sleepless nights and achy mornings, if you aren’t sleeping on a supportive base. And mattresses can cost anything from a few hundred pounds to thousands, so you’ll want to make sure your chosen mattress is worth the investment, before you buy. 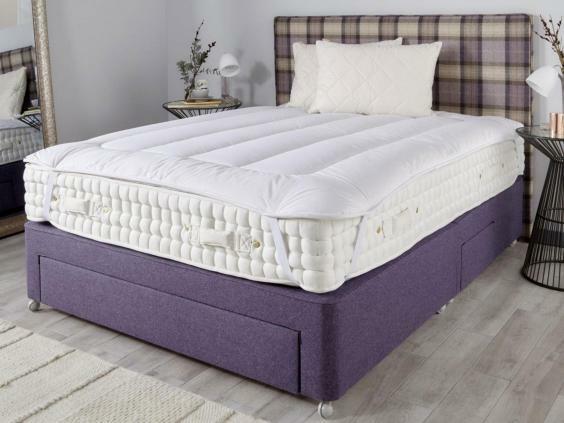 Here, we’ve put together everything you need to know before you hit the high street (or browse the web – online only mattress companies are on the rise). So whether you’re a side sleeper or suffer from chronic back pain, read on to find out what option is best for you. Open spring mattress: also known as open coil or continuous coil mattresses. These contain one long piece of metal wire coiled into numerous springs. There’s also an additional border rod or wire to maintain shape and provide structure. It’s a great value for money option, although sides are machine-stitched rather than hand-stitched, but they are lighter than other models, making them easy to turn. They tend to be less supportive than other mattresses too, so are most suited to guest bedrooms or as children’s beds, where they are used occasionally or will need replacing regularly anyway. Pocket spring mattress: this type of mattress is more luxurious, as it’s made from individual, small springs housed in their own pocket of fabric. This means each spring moves independently, providing more support than open spring mattresses. You can buy soft, medium or firm versions, depending on your preference, and they are more breathable than memory or latex mattresses (so ideal if you’re always getting too hot during the night). These are heavy to turn though and can be filled with natural materials such as lambswool which may agitate allergies. 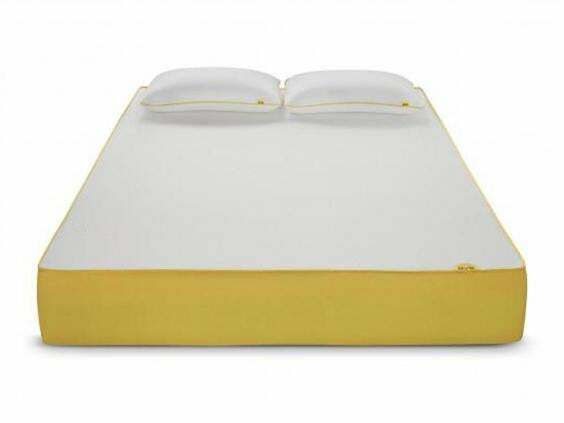 This is a good option if you’re looking for a bed for two people, as the separate springs will cater for your different needs and weights, while they will also minimise the risk of you rolling towards your partner in the middle of the night. Medium firm: this is best for people who sleep on their back, as you require extra lower back support which this type of firmness offers. Firm: This type of mattress is ideal for those who sleep on their front, are over 15 stone or suffer from back pain. This is because it will keep your back in a relatively comfortable and stable position without allowing you to sink into it as you sleep, which can cause lower back pain. You should aim to replace your mattresses every 8 to 10 years though. This is not only for hygiene reasons but because it will soften over time, reducing the support it gives you. If you feel sore when you wake up or you find you sleep better in other beds, it’s time for a change.